Videos uploaded to Twitter will now repeat themselves if they are shorter than 6.5 seconds in length, effectively mimicking the behavior of Vine. The change is slowly rolling out to users, with TechCrunch noting some accounts receiving the change over the last week, and that all users should see the change shortly when the Vine app updates. Looping short video clips is likely to help Twitter retain some of Vine's user base, who may migrate to other video services including Snapchat and Instagram. Vine users may also find a bigger audience in the transition to Twitter, as some may have previously concentrated on building their Vine audience separately from Twitter. The closure of Vine was originally scheduled to take place today, though Twitter is giving users a little more time to download any clips they have uploaded to the service. Users have until later today to retrieve their videos, by either logging onto the Vine website and downloading an archive, saving videos to their device via the app, or have a link emailed to themselves for downloading the files within the next 72 hours. 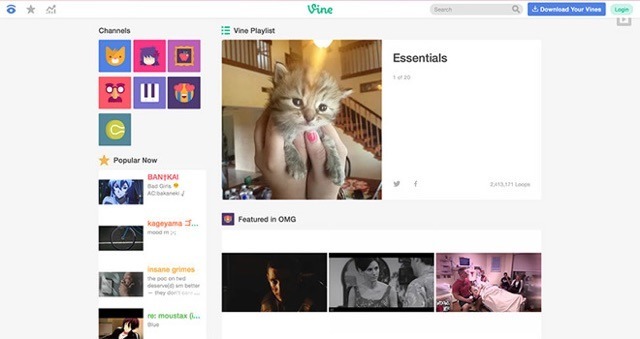 Despite the end of the social networking element, Vine will continue to exist as a standalone camera app. It will allow users to record the same six-second repeating videos Vine is known for, but the looped clips will only be shareable via Twitter within the app, though they can also be saved to the device for sharing by other means. Twitter originally announced plans to close Vine in October, as part of restructuring efforts, with the date of closure confirmed earlier this month. Despite the service's popularity, a number of bids to acquire Vine from Twitter failed to save the service.